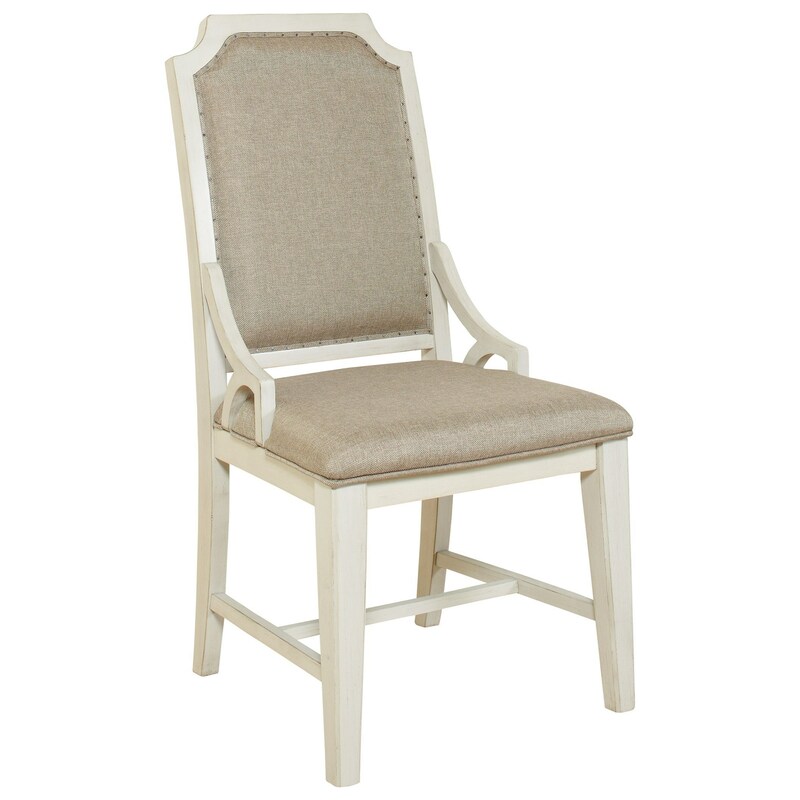 Cozy, cottage charm and easy clean upholstery makes this dining chair a must for your family's dining room. The fabric is stain-resistant and easy to spot clean, taking the stress out of food spills. A weathered Ocean White finish and tack nailheads creates a vintage feel for a calming and tranquil gathering place. The Mystic Cay Upholstered Dining Chair at Miskelly Furniture in the Jackson, Pearl, Madison, Ridgeland, Flowood Mississippi area. Product availability may vary. Contact us for the most current availability on this product.